Who among us has not wished they could drop whatever it is they are doing in order to relax and be pampered a bit? We are willing to bet that you, like us, wish for exactly this more often than not. However, upon wishing comes the reality that deadlines, schedules and the myriad of daily responsibilities always seem to prevent you from making the time to drop services A Magic Touch Mobile Massage what you are doing, and then drive all over town to wherever it is that can fulfill your desires and dreams. Well, A Magic Touch Mobile Massage LLC makes it so you no longer need long for anything of this sort. Rather, and with our licensed, insured and highly experienced mobile massage therapy and spa treatment staff, your wish is our command wherever you are right now…whether at home, the office, or even in your hotel suite. A Magic Touch specializes in luxury mobile, outcall and in-home therapy and spa treatment services for residents and guests of Scottsdale and Phoenix Arizona, Las Vegas Nevada, and the entire Southern California area. Even better yet, we will arrive on your doorstep within just hours of your call. Our staff of professional, highly experienced, licensed and insured massage therapists, nail technicians and estheticians bring all of the equipment, supplies, and ambiance necessary to provide you with a premium resort-style spa experience in your hotel suite, office, or even in the comfort and privacy of your own home. Choose any one of our services, or mix and match multiple ones in order to create a personalized pampering fit for a king or queen. A Magic Touch also offers add-on treatments, personalized chef services, and we provide special rate plans and packages for parties of 6 or more. Please do not hesitate to contact us to learn more about how outcall mobile massage services can help bring relaxation, rehabilitation, comfort, and peace into your life—not to mention make every day, and any event, totally indulgent and absolutely unforgettable. Facial treatments are appropriate for both men and women and can be tailored to the specific needs and even skin type of each client. 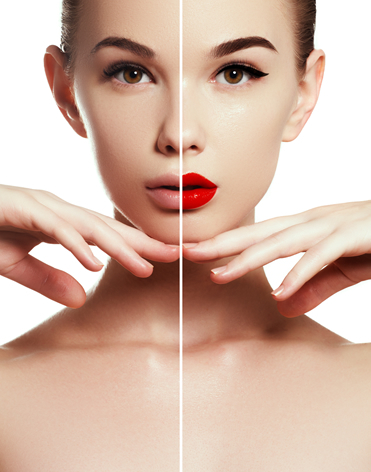 A detailed consultation is included with each facial, and techniques can focus on European facials, sensitive skin facials, anti-aging facials, as well as pregnancy facials. 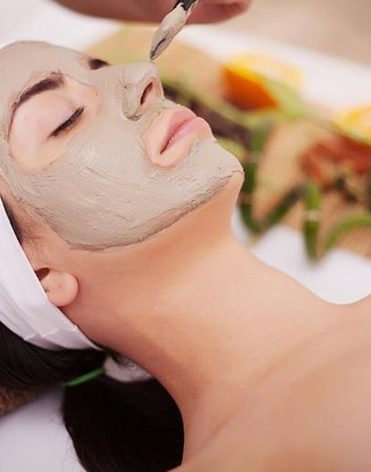 Each spa facial session includes cleansing, toning, exfoliation, and massaging. A facial can leave you feeling cleansed, refreshed, relaxed and rehabilitated on the most fundamental levels of your being! The couples massage is an amazing way to share the relaxation and rehabilitation experience with a friend or loved one. We will schedule two mobile massage therapists for you, and they will provide you and your partner with simultaneous massage sessions. 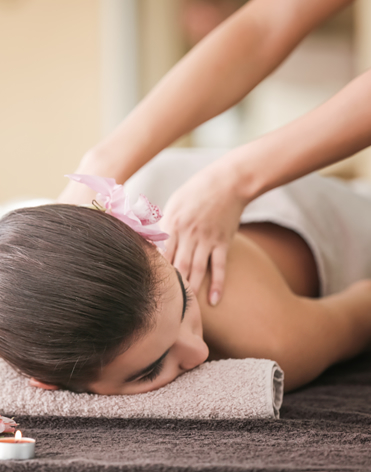 Each person can choose the type of massage best suited to their needs and liking. 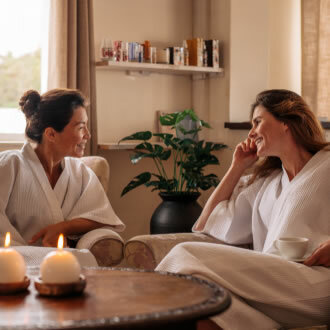 The couples massage session can be both relaxing and at the same time truly romantic, especially when adding a body scrub treatment, and then topping off the day with a gourmet meal courtesy of one of our culinary geniuses. Why spend the time and effort to go out, when you and your loved one can be pampered in the lap of luxury from the comfort and privacy of your home or hotel suite? The Swedish Massage is the most popular and well-known technique in the Western world. It is delivered via light to medium pressure, and the practitioner utilizes lunging and kneading strokes in the direction of blood returning to the heart in order to elicit maximum relaxation. However, its benefits also include the increase of oxygen molecules in the bloodstream, the decrease of toxin levels in muscle tissue, as well as an increase in circulation. Furthermore, a study conducted by the National Center for Complementary and Alternative Medicine, and published in The New York Times showed a positive correlation between this technique and decreased cortisol levels, while also increasing white blood cell count and therefore, immunity response. This massage session will help you feel relaxed while actually making you healthier too, and all at the same time…how great is that? The deep tissue technique is similar to the Swedish technique, but this technique specifically uses trigger points and deep pressure kneading in order to penetrate the deepest muscle tissues, tendons, and fascia. The result is relief from chronic and recurring injury pain, as well as muscle soreness. A 2010 meta-analysis in the Journal of Clinical Psychiatry found that deep tissue techniques reduce stress levels and heart rate while boosting serotonin levels and thus, result in increased mood and relaxation levels. If you have deep-seated muscle soreness, the deep tissue technique is definitely for you! Golfer’s massage Service is a technique employing light to deep pressure with stretching designed to focus on the areas of the body most affected by golfing. This technique promotes increased flexibility, shortened recovery time, enhanced endurance and even injury prevention. It can also be applied to any sport to help aid in post workout/training recovery of muscles, tendons, and joints. A study conducted by Margaret Jones, Ph.D. of the American College of Sports Medicine, showed a positive correlation between muscle recovery and massage when performed both before and after exercise. It is especially effective for marathon runners both before and after the many Phoenix marathon events. Manicures and Pedicures, or as they are colloquially referred to, Mani-Pedis, are the ultimate experience in luxuriously pampered hand and foot care. Beginning with a soothing and relaxing soak, a hand and foot massage is then performed to loosen up the muscles, tendons, and joints. The nails are then manicured and polished, including cuticle care and buffing as needed. Not only do your hands and feet come out looking better than ever before, but they also feel better too. This is because manicures and pedicures remove old, dead skin cells, as well as impurities hiding within them—thereby refreshing, relieving and thus, rejuvenating your body inside and out. The chair massage takes place leaning forward while seated in a specialized, open back chair. It utilizes either the Swedish or deep tissue massage technique. Clients remain fully clothed, making this a great way to relax in an office or professional environment, as well as comfortable for those who do not feel like partially or fully disrobing in order to receive therapy. Each chair massage session is usually 10-20 minutes long, which also makes it ideal for an office setting, and it can be a great way to treat your employees or coworkers to a little bit of relaxation and rehabilitation in between all of the daily hustle and bustle. A minimum block of two hours worth of scheduling is required for chair sessions. Pregnancy or prenatal massage is both essential and moreover, a perfect treat for the mother to be! Massage during pregnancy includes therapeutic bodywork that focuses on the special needs of the mother-to-be, as her body goes through the dramatic changes of the childbirth experience. The prenatal technique enhances the function of muscles and joints, improves circulation and general body tone, relieves mental and physical fatigue, and even helps facilitate more restful and consistent sleeping periods and patterns. It also reduces symptoms commonly associated with pregnancy—including backaches, stiff necks, leg cramps, edema, and headaches. Pregnancy massage is a fast-growing modality in the United States that has attracted the interest of labor and delivery nurses, nurse-midwives, childbirth educators and obstetricians. 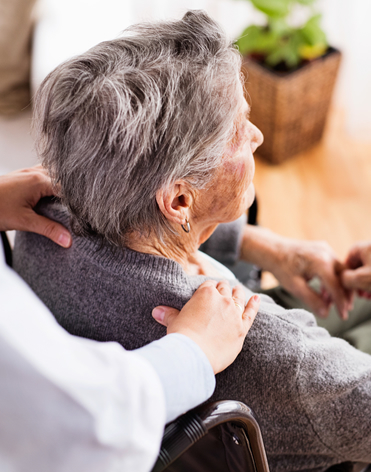 Massage is an important part of overall healthcare, and our mobile massage therapists are available for appointments at hospitals, nursing homes, assisted living facilities, and hospices for those who are not able to travel. All of our mobile spa treatments are available to help lift the spirits, heal the bodies, and ease the minds of those who are not able to or are not comfortable with, traveling to a clinic or storefront location. Our professional on-call therapists, estheticians, and nail technicians are trained, licensed, and insured to work with all clientele regardless of age or physical ability. This includes providing therapy focusing on light touch and functional stretching to increase blood flow, combat muscle waste and even psychological challenges including depression. Give the gift of relaxation and increased longevity to yourself, as well as your elderly or infirmed loved ones. The Ultimate Pedicure experience treats you to an entire hour spent off of your feet, while our technicians focus on them for you. This experience begins with a soothing soak, and then a 20-25 minute foot massage followed by a thorough exfoliation. Cuticle care, buffing, and polish service finish off this decadent feast of the senses. Your feet will look great, and feel even greater! The Pampering Makeover Session offers you the ability to be treated like a Hollywood star or starlet by having your makeup done up for a night on the town! A professional makeup artist will come to your home, office or hotel suite and create a glamorous look for that special evening or event. Treat yourself to the luxurious treatment that will make you look your best, so that you can shine like diamonds on the runway, at the theater, the dance or ball, or anywhere else you are about to make your grand entrance. The Bridal Makeover Session will help you get prepared, as well as put the finishing touches on the most amazing, special and intimate day of your life. Perfect for any bride-to-be, this package provides you with one of our professional makeup artists, who will come to you, do your makeup and also put your hair in an up-do. The result is a picture perfect look for your once-in-a-lifetime and oh so special day. "The Bridal Makeover Session will help you get prepared, as well as put the finishing touches on the most amazing, special and intimate day of your life. 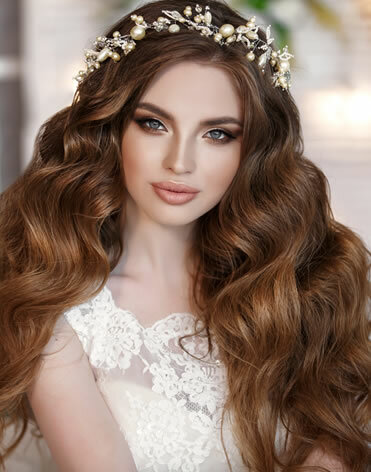 Perfect for any bride-to-be, this package provides you with one of our professional makeup artists, who will come to you, do your makeup and also put your hair in an up-do. The result is a picture perfect look for your once-in-a-lifetime and oh so special day." "The Pampering Makeover Session offers you the ability to be treated like a Hollywood star or starlet by having your makeup done up for a night on the town! A professional makeup artist will come to your home, office or hotel suite and create a glamorous look for that special evening or event. Treat yourself to the luxurious treatment that will make you look your best, so that you can shine like diamonds on the runway, at the theater, the dance or ball, or anywhere else you are about to make your grand entrance." "The Ultimate Pedicure experience treats you to an entire hour spent off of your feet, while our technicians focus on them for you. This experience begins with a soothing soak, and then a 20-25 minute foot massage followed by a thorough exfoliation. Cuticle care, buffing and polish service finish off this decadent feast of the senses. Your feet will look great, and feel even greater!" 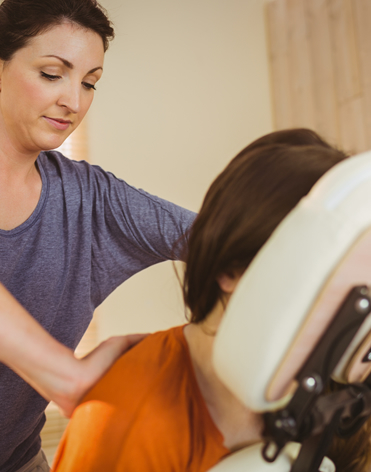 Massage is an important part of overall healthcare, and our mobile massage therapists are available for appointments at hospitals, nursing homes, assisted living facilities, and hospices for those who are not able to travel. All of our mobile spa treatments are available to help lift the spirits, heal the bodies, and ease the minds of those who are not able to, or are not comfortable with, traveling to a clinic or storefront location. Our professional on-call therapists, estheticians, and nail technicians are trained, licensed, and insured to work with all clientele regardless of age or physical ability. This includes providing therapy focusing on light touch and functional stretching to increase blood flow, combat muscle waste and even psychological challenges including depression. Give the gift of relaxation and increased longevity to yourself, as well as your elderly or infirmed loved ones. "Pregnancy, or prenatal massage is both essential and moreover, a perfect treat for the mother to be! Massage during pregnancy includes therapeutic bodywork that focuses on the special needs of the mother-to-be, as her body goes through the dramatic changes of the childbirth experience. The prenatal technique enhances the function of muscles and joints, improves circulation and general body tone, relieves mental and physical fatigue, and even helps facilitate more restful and consistent sleeping periods and patterns. It also reduces symptoms commonly associated with pregnancy—including backaches, stiff necks, leg cramps, edema, and headaches. Pregnancy massage is a fast-growing modality in the United States that has attracted the interest of labor and delivery nurses, nurse-midwives, childbirth educators and obstetricians." "The chair massage takes place leaning forward while seated in a specialized, open back chair. It utilizes either the Swedish or deep tissue massage technique. Clients remain fully clothed, making this a great way to relax in an office or professional environment, as well as comfortable for those who do not feel like partially or fully disrobing in order to receive therapy. Each chair massage session is usually 10-20 minutes long, which also makes it ideal for an office setting, and it can be a great way to treat your employees or coworkers to a little bit of relaxation and rehabilitation in between all of the daily hustle and bustle. A minimum block of two hours worth of scheduling is required for chair sessions." "Our therapists arrived on time, were professional and overly accommodating. Truly a pleasure to work with and could not have been happier!" "Excellent massage therapist, always on time, very professional and quality oriented and focused on the client. I have used “A Magic Touch Mobile Massage” for many years and couldn’t be happier with them." "Excellent corporate chair massages. Made our wellness event awesome." "I found Magic Touch on yelp & through one phone call and a few texts with organizer DeeDee, we were good to go! Azita (our masseuse) was a doll." "Very very pleased with this professional company. We had a last minute cancel from our regular masseuse, so I was in search of a massage therapist." "Manicures and Pedicures, or as they are colloquially referred to, Mani-Pedis, are the ultimate experience in luxuriously pampered hand and foot care. Beginning with a soothing and relaxing soak, a hand and foot massage is then performed to loosen up the muscles, tendons and joints. The nails are then manicured and polished, including cuticle care and buffing as needed. Not only do your hands and feet come out looking better than ever before, they also feel better too. This is because manicures and pedicures remove old, dead skin cells, as well as impurities hiding within them—thereby refreshing, relieving and thus, rejuvenating your body inside and out." "Golfer’s massage is a technique employing light to deep pressure with stretching designed to focus on the areas of the body most affected by golfing. This technique promotes increased flexibility, shortened recovery time, enhanced endurance and even injury prevention. It can also be applied to any sport to help aid in post workout/training recovery of muscles, tendons and joints. A study conducted by Margaret Jones, Ph.D. of the American College of Sports Medicine, showed a positive correlation between muscle recovery and massage when performed both before and after exercise. It is especially effective for marathon runners both before and after the many Phoenix marathon events." "The deep tissue technique is similar to the Swedish technique, but this technique specifically uses trigger points and deep pressure kneading in order to penetrate the deepest muscle tissues, tendons and fascia. The result is relief from chronic and recurring injury pain, as well as muscle soreness. A 2010 meta-analysis in the Journal of Clinical Psychiatry found that deep tissue techniques reduce stress levels and heart rate, while boosting serotonin levels and thus, result in increased mood and relaxation levels. If you have deep-seated muscle soreness, the deep tissue technique is definitely for you!" "The Swedish Massage is the most popular and well known technique in the Western world. It is delivered via light to medium pressure, and the practitioner utilizes lunging and kneading strokes in the direction of blood returning to the heart in order to elicit maximum relaxation. However, its benefits also include the increase of oxygen molecules in the blood stream, the decrease of toxin levels in muscle tissue, as well as an increase in circulation. Furthermore, a study conducted by the National Center for Complementary and Alternative Medicine, and published in The New York Times showed a positive correlation between this technique and decreased cortisol levels, while also increasing white blood cell count and therefore, immunity response. This massage will help you feel relaxed while actually making you healthier too, and all at the same time…how great is that?" "The couples massage is an amazing way to share the relaxation and rehabilitation experience with a friend or loved one. We will schedule two mobile massage therapists for you, and they will provide you and your partner with simultaneous massage sessions. 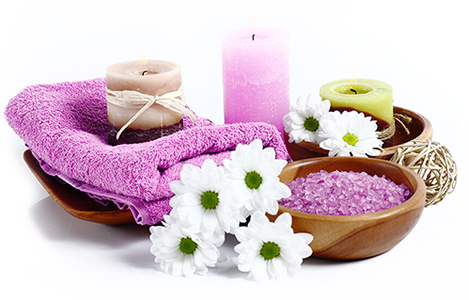 Each person can choose the type of massage best suited to their needs and liking. The couples massage session can be both relaxing and at the same time truly romantic, especially when adding a body scrub treatment, and then topping off the day with a gourmet meal courtesy of one of our culinary geniuses. Why spend the time and effort to go out, when you and your loved one can be pampered in the lap of luxury from the comfort and privacy of your home or hotel suite?" "Facial treatments are appropriate for both men and women, and can be tailored to the specific needs and even skin type of each client. A detailed consultation is included with each facial, and techniques can focus on European facials, sensitive skin facials, anti-aging facials, as well as pregnancy facials. 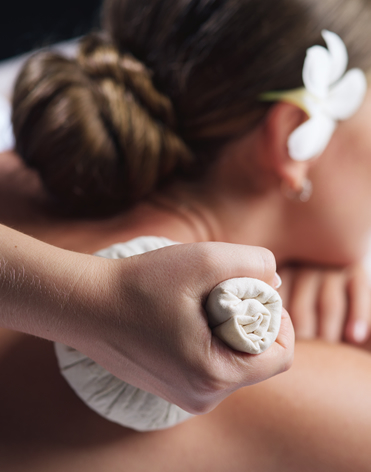 Each spa facial session includes cleansing, toning, exfoliation, and massaging. A facial can leave you feeling cleansed, refreshed, relaxed and rehabilitated on the most fundamental levels of your being!"